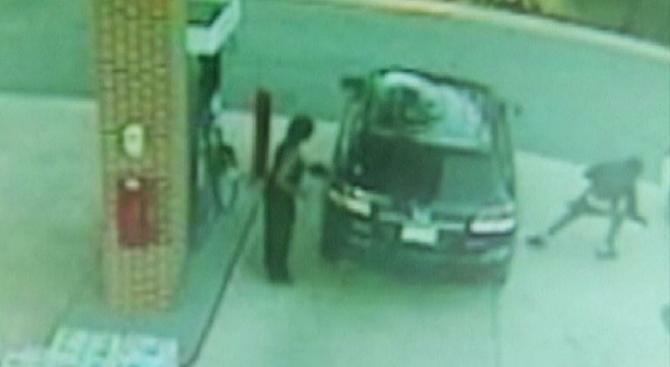 Thieves went on a rampage two weeks ago, stealing purses from unsuspecting women while they were pumping gas at a Bowie, Md. station. The suspects would target women while they were pumping gas -- opening the passenger side doors and stealing their purses at the Safeway gas station on Fairwood Parkway. According to surveillance video from the gas station, the crime only takes a few seconds -- thieves are gone before the victims turn back around. Prince George's County Police are still on the lookout for the suspects.